Monopoly Dream Life is another IGT incarnation of the popular board game that allows family members to shout blasphemous torrents of abuse at each other in what is deemed perfectly socially acceptable behavior as they battle for control of the property market. Fortunately, the slot translation of the Monopoly games does not allow for multi-player action so family disputes are not needed and you can focus on enjoying the game and making some money. This 5 reel, 20 payline slot release from globally renowned slot developer IGT could arguably be one of the most exciting Monopoly games to be released yet. IGT really excelled itself with the release of Monopoly Here and Now. The equally as successful Monopoly Plus also proved to be a hit with slots fans sparking huge anticipation ahead of this release. 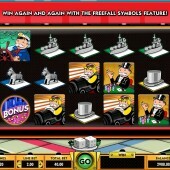 There are two main features that are attracting all the attention in this latest version of the Monopoly slot series. It includes the Free Fall symbols feature and the Stacked Wilds feature that offers a two pronged attack for winning big prizes. The Free Fall symbols work in the same way that the Tumbling Reels work in the dazzling IGT slot Da Vinci Diamonds. Symbols in winning combinations disappear from the reels and symbols fall from above to fill the gaps left giving you the chance to win time and time again. The bonus feature is also worth keeping an eye out for. 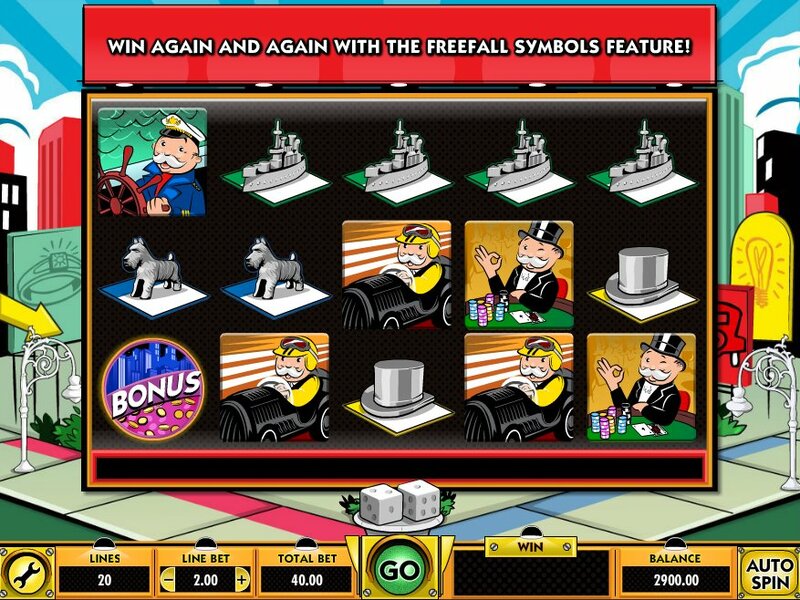 It is triggered when you hit three or more Bonus symbols across the reels and you are taken to a second screen where Mr Monopoly presents you with four property cards. You can then choose whether to keep or discard the property cards you have depending on how valuable you feel they are and whether or not you think you can get better cards. The property cards you end up with will then determine how many free spins you win. You can win up to 16 free spins in this free spins bonus round. Some critics said that Monopoly Plus was a little too complex with too much going. In this slot, IGT strips it all back and goes back to the basics. Yes, there are Free Fall symbols and Stacked Wilds but this is a game that relies on simplicity to deliver huge potential rewards for you and, essentially, that is the key factor.